65. 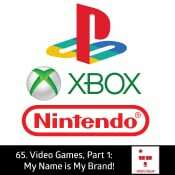 Video Games, Part 1: My Name is My Brand! – Brian can’t remeber our guest’s name!